At Ultimate Aesthetics, we’re proud to help the Newton Centre communities enjoy healthy, beautiful smiles! We welcome new and returning patients to our inviting dental office. Our talented dental professionals offer experienced and specialized dental care to help you revitalize your smile. Dr. Steve Bader uses his skill, thoughtfulness, and dedication to provide you with attentive and personalized treatment in every procedure. Find out what we can do for your smile when you schedule a consultation today! Dr. Bader leads a team of dental experts whose skill and experience is matched only by their passion for helping patients. We’re committed to helping our patients enjoy better, healthier smiles. 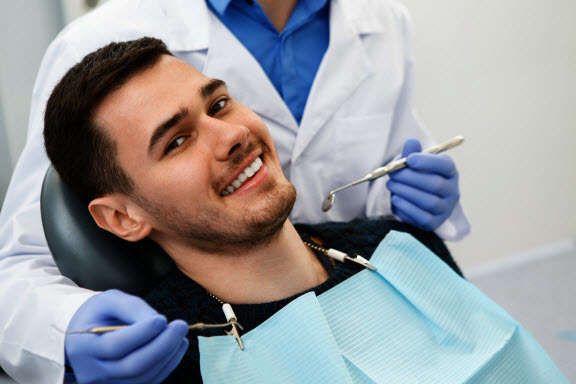 We believe strongly in partnering with patients to deliver great care; we provide focused in-office treatment in the office and provide the tools and tips you need to care for your smile at home. Our team knows that dentistry is constantly evolving. We strive to keep updated with the latest developments in treatment techniques and technology, so we can continue to offer our patients the best possible treatments year after year. At Ultimate Aesthetics, we know that every patient we see is different and has unique dental needs. We take the time to get to know you on a personal level so that we can understand your dental troubles, concerns, and goals for your smile. We work to educate you on your treatment options so that you can make informed decisions about your dental health, and always feel in control of your treatment. We put our full attention into every service we provide. Whether you’re visiting us for simple teeth whitening, complex dental implant restorations, or long-term care with Invisalign®, you can be sure that we take your treatment seriously. You can expect the same level of quality and care no matter your reason for visiting. Ready to Discover Your Beautiful New Smile? Our friendly team is ready to welcome you to our beautiful and atmospheric dental office. We invite patients across Newton Centre and the surrounding communities to visit us for their many dental care needs.